Xtreme logistics is an End-to-End ERP Software for Logistics Industry. It is the next-generation software that helps Freight Forwarders, Logistics Service Providers (LSPs),Warehouse and Transportation companies to effectively run their organization and drive profitable business growth.Xtreme logistics is powered with a comprehensive freight forwarding software designed considering the specific needs of the industry. It manages freight forwarding operations for both International and Domestic, under various modes including Air, Sea and Land, right from receiving the Sales Inquiry to Balance Sheet. Xtreme logistics integrates the Freight Forwarding Operation with Sales, CRM and Billing. Its integrated Financial Accounting module provides unmatched financial controls. 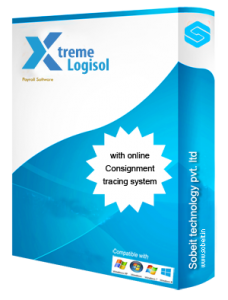 It also provides Full Visibility to all the stake holders by integrated Client Portal .Xtreme logistics is an enterprise level modular ERP Software which automates all the freight forwarding and logistics processes with Plug-n-Play ease. It is a complete solution for tracking stock, documenting assets, ordering business operations, generating reports, and billing. . Xtreme logistics builds a powerful freight management system that integrates Transportation, Warehouse and other critical logistics functions into a single software platform to improve productivity and reduce costs.With end-to-end integration, Xtreme logistics empowers freight forwarders by providing higher flexibility, optimization of business processes, greater financial control, enhanced customer service capabilities and increased sales & revenue. KG / PCS. /TILL-WT/FLAT/SLAB/HYBRID AND OTHER RATE MASTER.